He was an important contributor to the De Stijl art movement and group, which was founded by Theo van Doesburg. He evolved a non-representational form which he termed Neo-Plasticism. 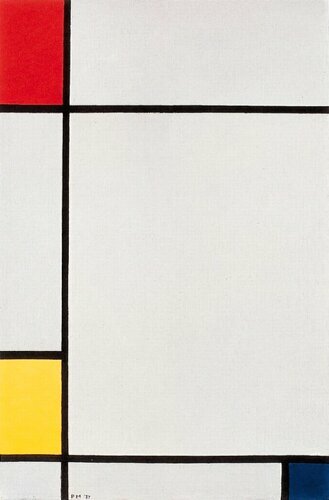 This consisted of a grid of vertical and horizontal black lines and the use of the three primary colours. 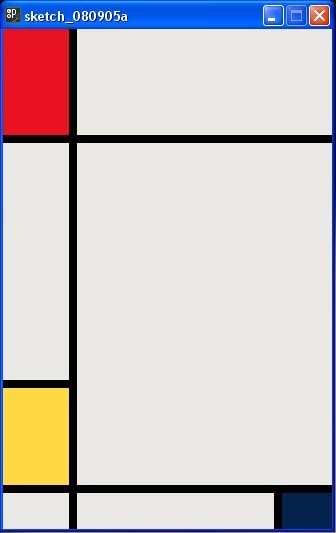 Main motto of this assignment is to reproduce a Piet Mondrian work using processing Language. 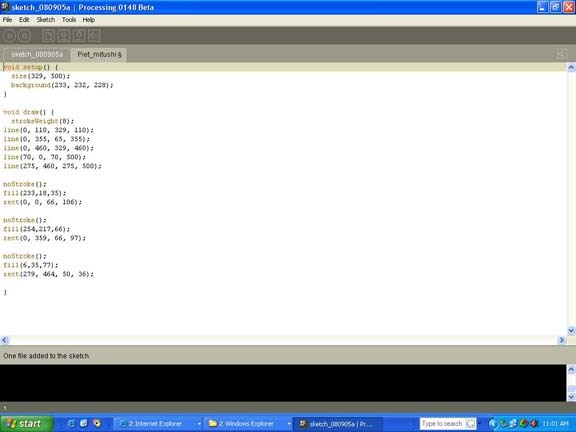 This helped me to understand the basics of processing language. Image has been reproduced using processing language.